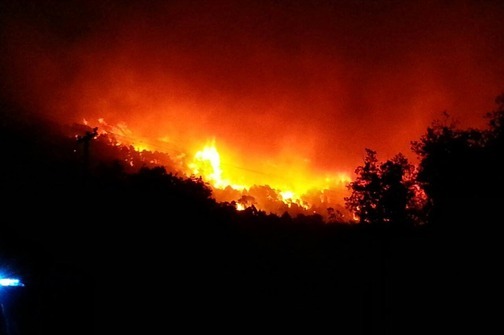 Late Monday night, a savage wildfire consumed large swaths of scrub pine, olive and fig trees, and vineyards on the Pelješac peninsula in Dalmatia, one of Croatia’s most renowned wine-growing regions, leaving as many as 600 hectares of rocky landscape–as well as cars and some homes–blackened and charred at the height of the tourist season. 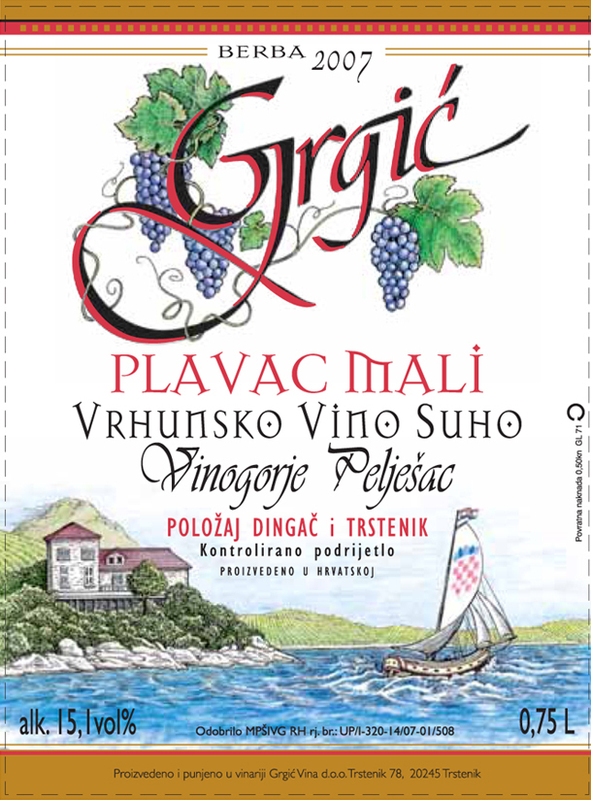 Especially hard hit was the area around the tiny seaside hamlet, Trstenik—home of the world-famous Grgić Vina, a winery founded by legendary—and Croatian-born—Napa Valley winemaker, Mike Grgich of Grgich Hills Estate in Rutherford, CA. 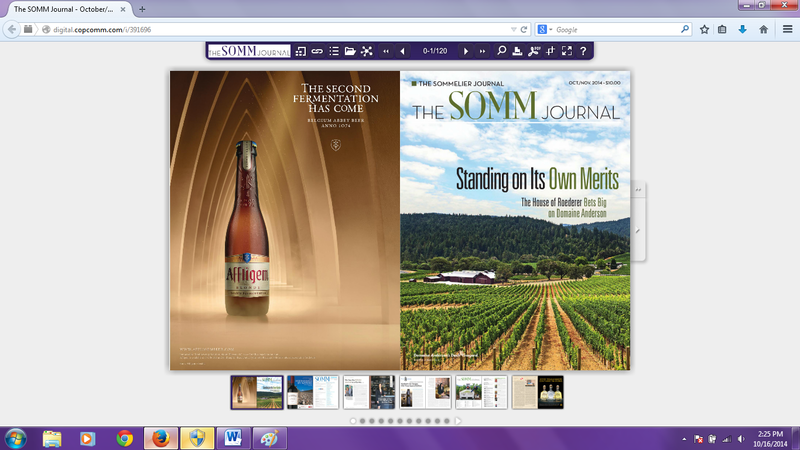 The Sommelier Journal, recently re-launched and re-branded as The SOMM Journal, just published its October/November 2014 issue (Vol. 1/ No. 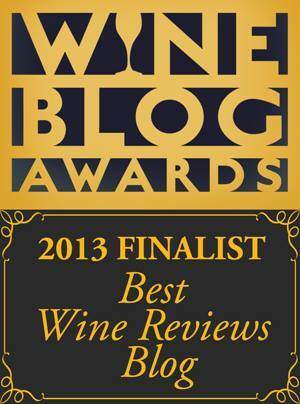 3), which includes an article entitled “Zinfandel – A Sort of Homecoming”, written by Wines of Croatia founder, Certified Sommelier, and regular contributor to this blog, Cliff Rames. 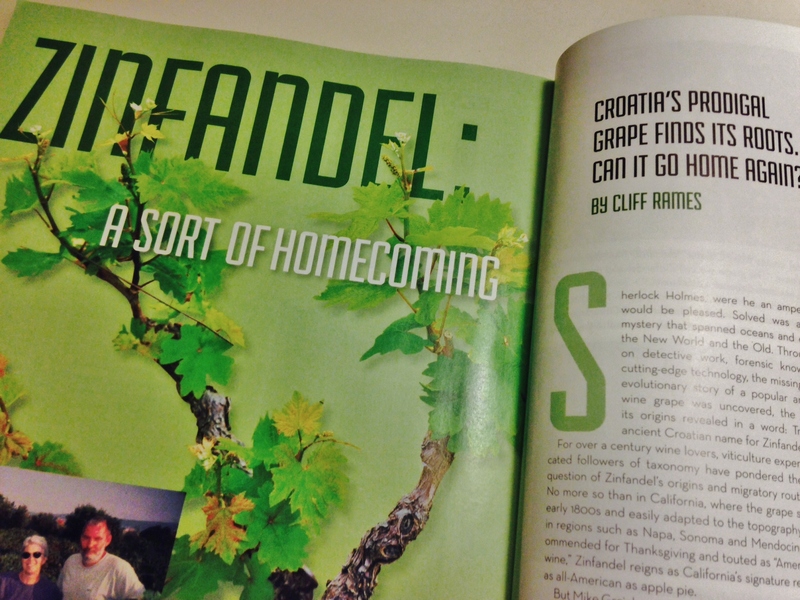 The article’s teaser, or subtitle, reads: “Croatia’s Prodigal Grape Finds Its Roots. 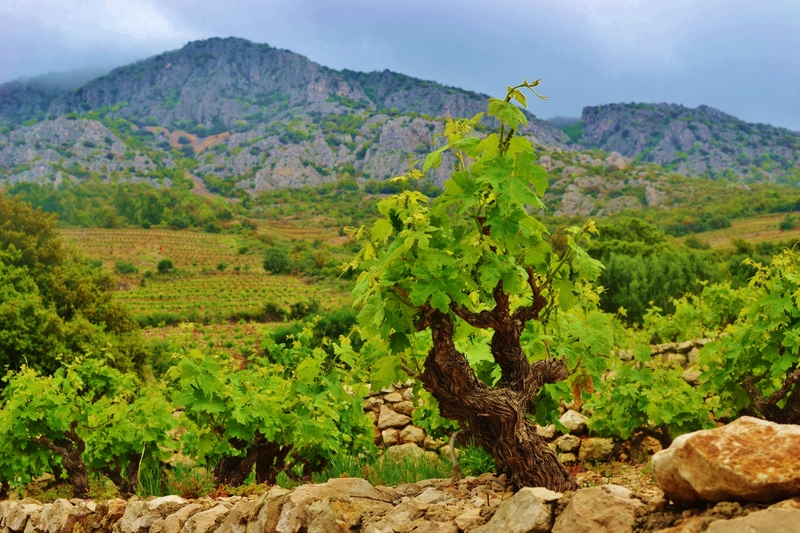 Can It Go Home Again?” – alluding to the article’s focus on the search for and discovery of Zinfandel (AKA Primitivo, Crljenak Kaštelanski, Tribidrag, Pribidrag) in Croatia, and the subsequent efforts to repatriate the grape to the vineyards of Dalmatia. Sensory overload. That is how I would describe any one of my whirlwind visits to Croatia. I mean it in a positive way. The country is simply brimming with vinous, culinary and natural delights. Gnarly old grapevines improbably clinging to sun baked seaside slopes. Nearly 1,200 islands sprinkled like seashells on the impossibly blue Adriatic. Countless villages and hamlets of seminal charm nestled in coves and on mountainsides. Fresh caught seafood and farm-to-table produce so succulent and cooked to perfection. The warm faces of family, old friends and new acquaintances (and an occasional donkey). Swoon-worthy views and secret spots where you can enjoy the sights and sounds of nature that – to this New York City boy – are so intimate, pure and wonderful. And then there is the wine. Indigenous grapes, local producers. Most of it delicious and distinct. So this is what all this beauty… this land…this Croatia tastes like, you may be inspired to declare.